ANGLE’s Parsortix system provides a unique product-based solution whereas most others are offering a laboratory service-based approach. With advancements in genomics and clinical information there has been a paradigm shift from “one drug fits all” towards “precision medicine” – the right drug for the right patient at the right time. Complexity of today’s clinical diagnosis and life science research demands technologies that are simple, easy and flexible to work with. The Parsortix system is easy to use and can be used with whole blood samples, direct from a simple blood test, without any pre-processing of the blood such as red blood cell removal. This makes the process easy and cost effective whilst ensuring unnecessary loss of target cells is minimized. For Research Use Only- Not for use in clinical diagnostic procedures. 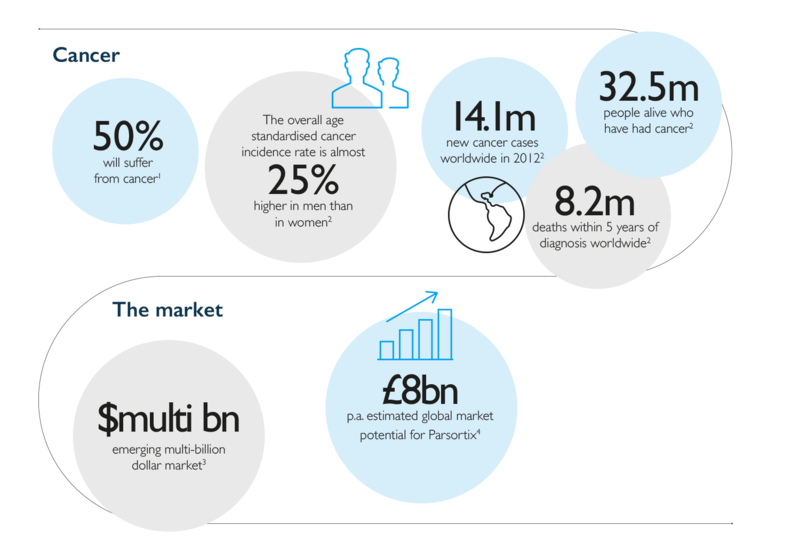 ANGLE’s Parsortix system has the potential to deliver profound improvements in clinical and health economic outcomes in the treatment and diagnosis of various forms of cancer. Head to our investor centre to find current financial information, our corporate calendar, stock information and corporate governance.